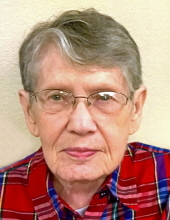 Helen Hall, age 83 of Ames and formerly of Boone, died Thursday, December 13, 2018, at the Westhaven Community in Boone. Per her wishes, Helen has been cremated and a Memorial Service will be held on Monday, December 17, 2017 at 11:00 am at the First Evangelical Free Church in Boone. A luncheon will follow the service. Burial will be held at 1:30 pm at Sparks Cemetery, Southwest of Boone. Helen J. (Springer) Hall, was born in Boone, Iowa, on March 7, 1935, the daughter of Merrill and Mildred (Toliver) Springer. She attended Boone High School. On June 2, 1951, Helen was united in marriage to Cedric Guy Hall in Boone at the Christian Church. She worked in the kitchens at Franklin Elementary School and later at the Evangelical Free Home, now known as Westhaven Community in Boone. Helen enjoyed crocheting, camping locally and wintering in Texas with Cedric. But most of all, she enjoyed spending time with her family. She is preceded in death by her parents; husband, Cedric and a sister, Carol Snider. Helen is survived by four children, Becky (Nick) Caskey of Florida, Brian (Penny) Hall of Shellsburg, Iowa, Brent (Christine) Hall of Florida and Blake (Sandra) Hall of Omaha, Nebraska; twelve grandchildren, Jason Caskey of Marshalltown, Ryan (Jennifer) Caskey of Boone, Jonathan (Mary) Caskey of France, Kristi (Raman) Sinha of Lafayette, Colorado, David Hall of Shellsburg, Amber Hall of Ottawa, Canada, Sarah Hall of Kansas City, Missouri, Lyssa (Pete) Kirwan of Gardner, Kansas, Jordan Hall of Rantoul, Kansas, Amy (Derek) Wikoff of Fort Collins, Colorado, Ethan (Sadie) Hall of Springfield, Nebraska and Stefanie Hall of Omaha, Nebraska; eleven great-grandchildren, Marshall Caskey, William and Claire Caskey, Mackenzie and Jeffrey Hall, Manna and Canon Kirwan, Henry and Lilly Wikoff and Chloe and Stanley Hall; and three siblings, Kenny Springer of Boone, Joyce Appenzeller of Boone and Judy Reed of Boone. In lieu of flowers, memorials may be directed to Jon and Mary Caskey through the website: https://secure-q.net/donations/gemissionorg/6180 or memorials may be mailed to: Gem USA, P.O. Box 1669, Monument, CO 80132-1669. Don’t put their names on the check, please make it out to: Greater Europe Mission and include a separate paper that says it is for Jonathan acct. 09710. To send flowers or a remembrance gift to the family of Helen Hall, please visit our Tribute Store. "Email Address" would like to share the life celebration of Helen Hall. Click on the "link" to go to share a favorite memory or leave a condolence message for the family.